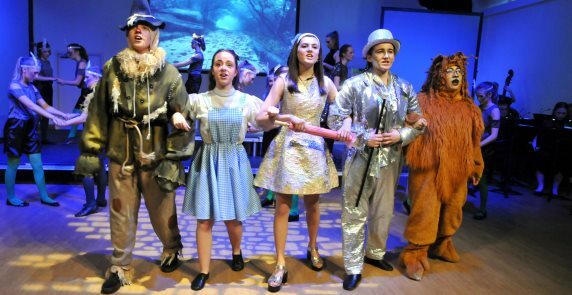 Pupils from the Drama and Music departments at Harrogate Ladies’ College collaborated recently to perform a stunning production of the Wizard of Oz. Featuring a cast and orchestra that spanned every year group from Year 7 to Year 13, the much loved literary classic about Dorothy and her three loveable companions was inventive and fun. 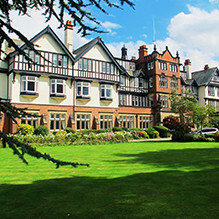 School productions are one of the Spring Term highlights at Harrogate Ladies’ College and this year was no exception. With two evening performances as well as a special matinee performance for local schools, audiences were entertained throughout the shows. Assured solos, budding younger performers and familiar instrumental pieces combined to give a moving, funny, dramatic and at times thought provoking musical adaptation of L. Frank Baum’s fantasy. The narrative was also brought to life with choreography to take full advantage of the staging and the projection of moving images provided a striking backdrop to the authentic and vibrant costumes. “The girls gave a truly remarkable performance and the whole cast should be incredibly proud of themselves. Their energy was infectious and the audience’s appreciation was well deserved.